I am very pleased with the result of this Yam Abacus Seeds recipe. The texture is just perfect QQ and exactly what I wanted. I tried to cook it in a different way, stir-fried in the style of Char Koay Teow instead. Surprisingly it is delicious and my family love it. This recipe is a keeper for sure! 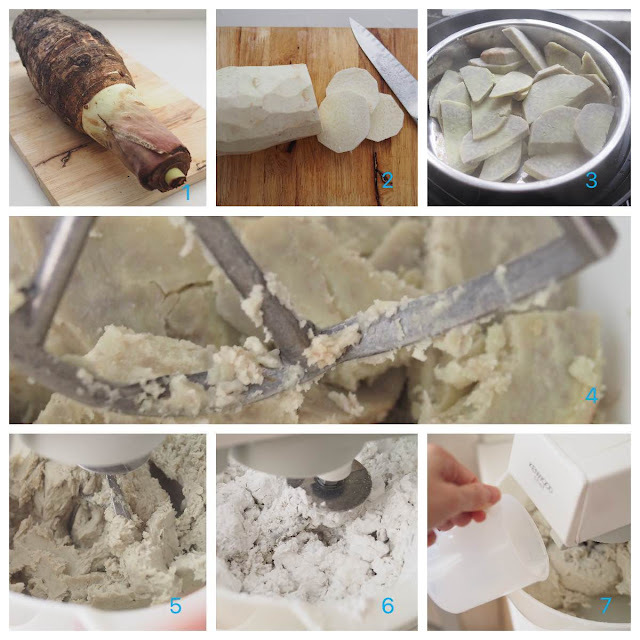 Steam pieces of yam for 20 mins or until soft. Immediately transfer to a bowl of stand mixer and beat with the paddle attachment until the yam is mashed. Change to hook attachment. While the mashed yam still very hot, add in the tapioca flour and salt , continue to knead for 5 to 6 minutes or until become smooth dough at lower speed. 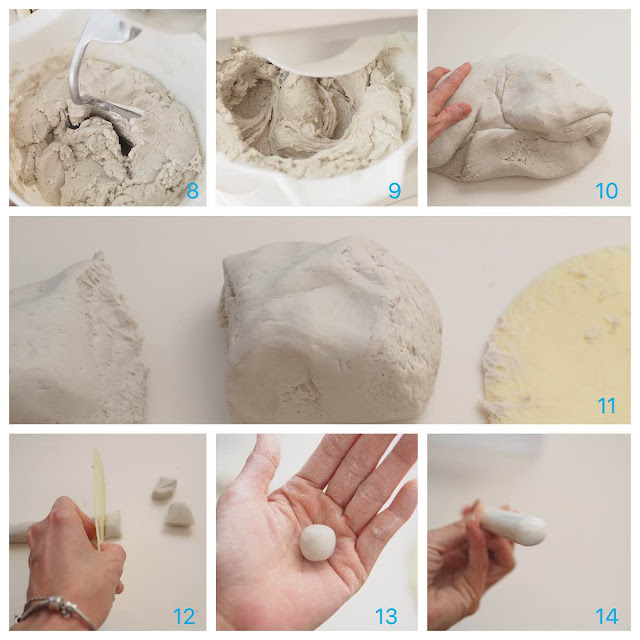 Pour in boiling water while kneading if the dough is too dry. Transfer the dough into the counter top and slightly knead with hand. Cut the dough into few portions. Roll each portion into a long log. Cut the log into small pieces at your desired size. Roll each piece into a ball in between your palms. Press in the centre of the ball with your index finger to form abacus shape. I used end of brush handle which is round shape to press in the centre. Bring a pot of water to boil, then drop in the yam abacus. Boil until the pieces rise to the surface, scoop out and throw into ice water to stop the cooking. Drain away the ice water and drizzle some cooking oil to prevent the yam abacus from sticking. Set aside. It is hard to get exactly 500g of yam as they come in different sizes. Just use the ratio of 2:1 (yam : flour). 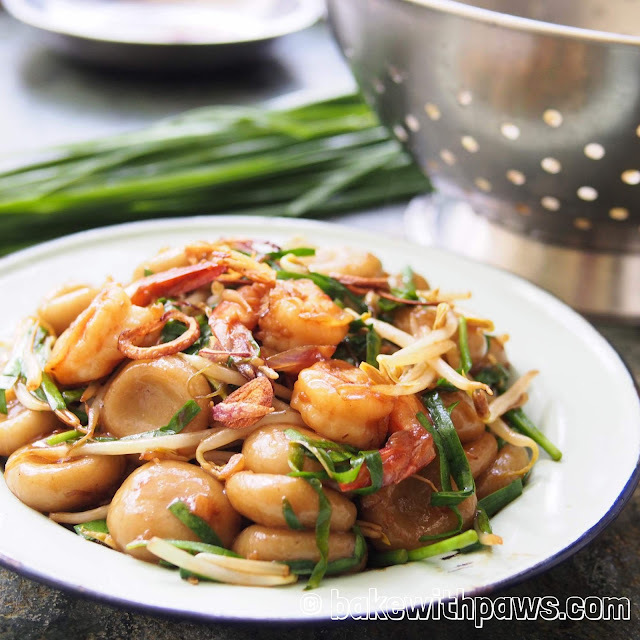 Heat cooking oil in a wok, fry shallots till golden brown and fragrant and crispy. Dish out the fried shallots and set aside. 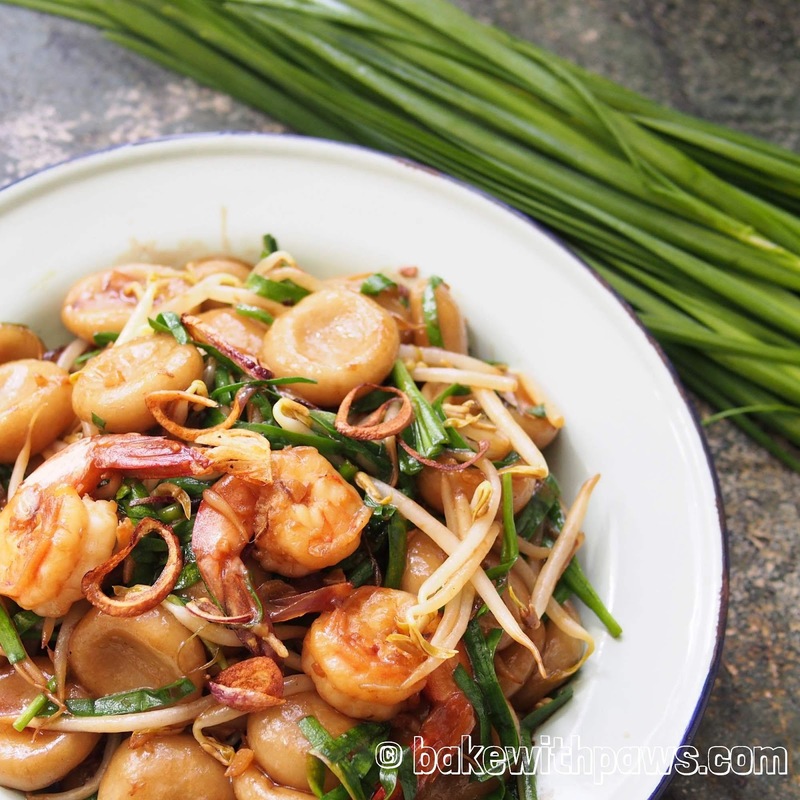 Using the remaining oil saute the garlic and prawn till fragrant. 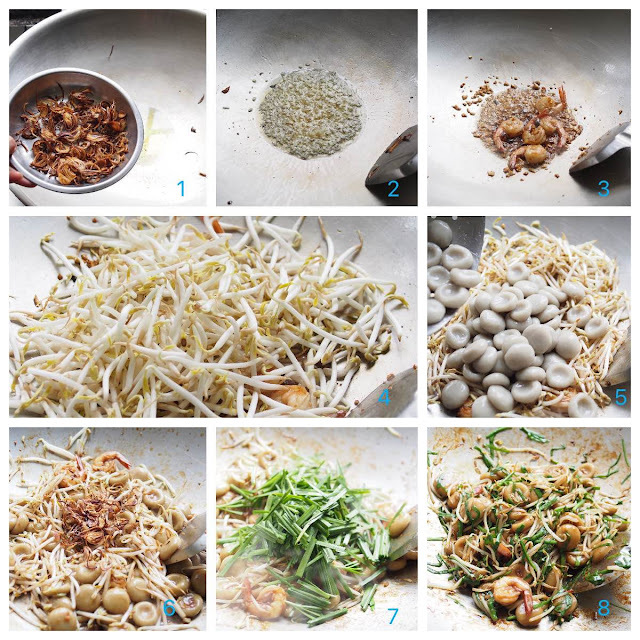 Then add in bean sprouts and some seasoning mixture, mix well. Add in yam abacus and add in more seasoning and some water, stir fry well. Throw in the fried shallot and chinese chives. Taste and adjust accordingly.